My name is Annemarie and I created Gaucher’s Chat. I have type 1 Gaucher’s Disease. I’m a web developer, REALTOR®, and World of Warcraft player. I was diagnosed with Gaucher's Type 1 when I was about 6 years old. While scheduling a liver biopsy, we discovered I also have Hemophilia Type A. The biopsy was abruptly canceled. I grew up not being able to play sports, participate in gym class, and basically live in a bubble wrap suit. I am the only person in my family that has Gaucher's Disease, and now the only person who has Hemophilia. My uncle had severe Hemophilia, but passed away from AIDS in 1998 that he got through a tainted blood transfusion. Even as an adult, it is very lonely being the only person in my entire family with these illnesses. I try to spread awareness of the disease so people learn about it and so we can discover more treatments and hopefully a cure. I also feel it is very important for my family to learn about Gaucher's since they have the high possibility of passing it along to their children, even as a carrier. I don't let the disease define me anymore. I define my own life. Some days it takes over, and I have to fight the fatigue, pain, and depression that all come with the disease, but building a community of Gaucher's patients helps us all cope and get through this together. When I was first diagnosed, I was sent to the NIH for testing. While there, it was also discovered that I am a symptomatic carrier for Hemophilia type A. Once that was discovered, all planned biopsies were canceled. 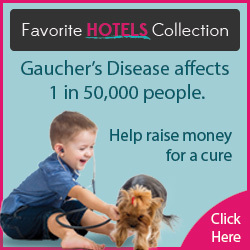 I’ve been living with Gaucher’s without many symptoms. I have the enlarged belly and get leg aches, but that’s about it. I started on VPriv in about September of 2010. It is working well for me. Growing up, my family didn’t have a network to easily reach out to for support. It is my goal to build a community for Gaucher’s patients and family so no one feels alone. Right now, I’m the only person managing and administrating this site. Go me!